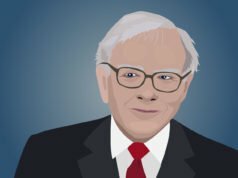 For a long time, the largest group of people interested in cryptocurrency was one of the privacy-conscious people. They still make a significant portion of the entire crypto userbase, but the markets have been flooding with people that are newcomers, only starting to participate following huge market movements. If you are a part of this privacy-conscious group, then you will be interested in what this article has to offer for your privacy, a VPN solution that is simple and easy to implement, while at the same time offering complete and utter anonymity online. If you have ever watched Snowden’s documentary, then you know how complicated things can get in the world of online privacy. Virtual Private Network enables local private networks to be extended over the internet, enabling users like you and me to interact with them directly, and through them access the internet. It can help us circumvent geographical restrictions or censorship, and enable various benefits to networks. Using a VPN means to connect to a different computer, and use it to access the internet. 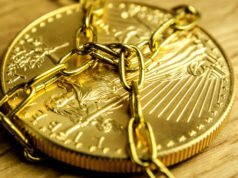 There are many different VPN solutions that enable us to hide our online identity or open the entire internet for us (depending on our personal situation), but there are not a lot of solutions that accept direct crypto payments. Note that this is not the same as using a crypto debit card to pay for services or products, as the card companies are holding all of your data, and therefore using the VPN is not a completely anonymous experience. Using direct crypto payments, “Hidester” does not have the ability to record your personal data, nor does it ever request it. OpenVPN – a VPN protocol designed by James Yonan, published under the GNU General Public License (GPL). CamoWeb – a system-side proxy protocol designed by the Hidester team that enables users to browse with high speeds and access content behind a firewall. CamoVPN – a completely anonymous VPN protocol that obfuscates OpenVPN enabling it to pass through firewalls. 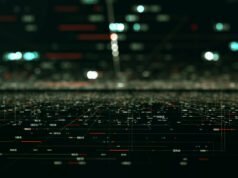 It creates a tunnel between the Hidester servers and the local client, and encrypts all data using the OpenVPN protocol. The encryption level used by Hidester’s product is AES-256-CBC TLS 2048 bits. To paint a clear picture, the NSA, one of the major information players in the world currency has their maximum encryption up to 3072bit/AES256 as we can find out through public information from the Department of Defence. Until 2020, 2048bit/AES192 is being accepted for use by the NSA, and that is a weaker encryption compared to the Hidester protocol. For us regular mortals, such encryption is more than enough to make us completely secure. Hidester accounts do not protect you only while you are using the PC, but also provide you with the service on your Apple or Android mobile device. Unfortunately, Windows phone users do not have an app yet, but I’m sure that a large number of requests to the Hidester team will proc them to develop one for Windows Phone as well. Hidester automatically ends all data transfer processes when the VPN is rendered inactive, for whatever reason. This is to prevent accidental data leakage and to ensure that encryption protocols are used correctly. As a user, you can really appreciate the fact that your data will be protected even if you are using this VPN for peer-to-peer services. Of course, we are not advocating that you should download torrents, but there are other legitimate peer-to-peer services that are blocked for various reasons in different countries. 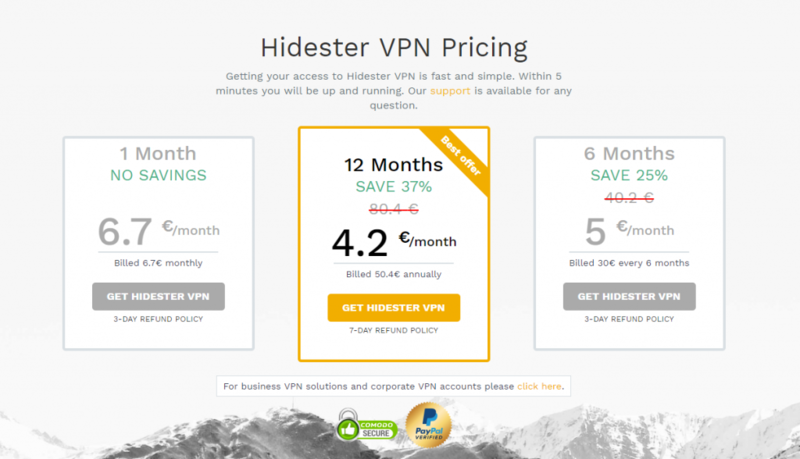 Sitting at a price of just 50 euros per year, Hidester is a pretty good deal for anybody that uses the internet globally. VPN’s help you access Spotify, Netflix, geo-specific websites, and alleviate paranoid feelings when browsing for sensitive information online. 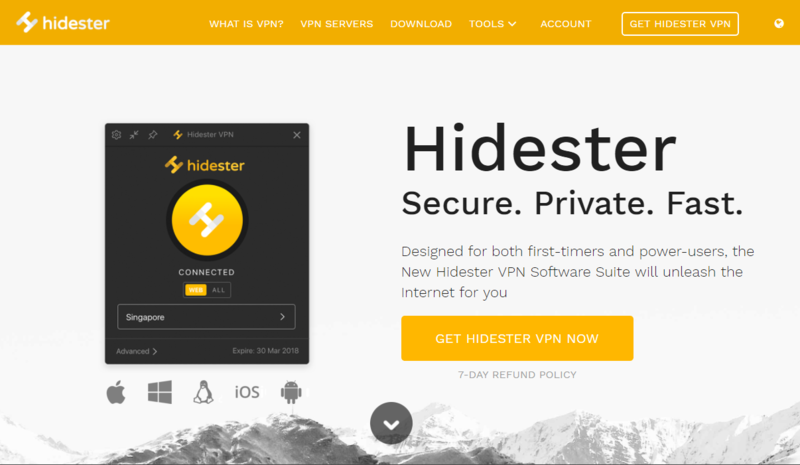 With Hidester you have your own encrypted tunnel to the internet, and your data is completely safe and protected from governments, internet service providers, and hackers. If you decide you don’t like the VPN, you can get a full refund within 7 days of your purchase, so it’s completely risk-free to try out. Personally, I have been using it for the past month to access accounts that are originating from other countries and I have been more than happy with the results. The internet connection is stable and the speed is great too. My IP is hidden, Hidester does not have my information, and there is no way anybody can connect my online activity to my real physical person. Even though I do not really care about my own privacy that much, I have to admit that it is very beneficial to have the ability to browse safely and securely.